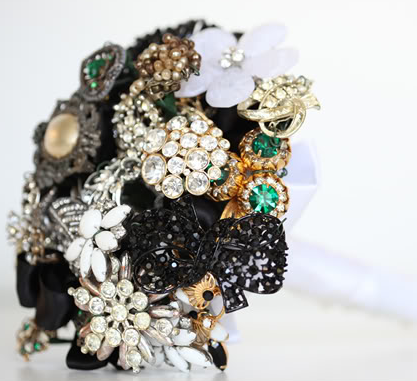 On the Strawberries and Champagne Blog I found some good examples and also a brief how-to for making my own brooch bouquet. I think that I could DIY my own bouquet along with my bridesmaids. Etsy sellers have bunches of old brooches and earrings that would be prefect for this project. Of course I'd need to add some gears and keys to really tie it in with my steampunk theme.